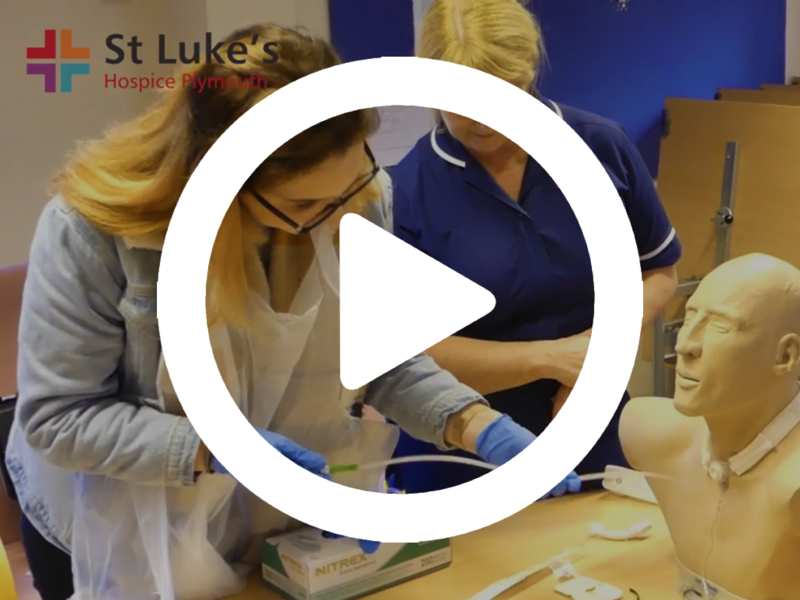 Year 12 and 13 students from Plympton Academy spent the day at St Luke’s to learn more about the role of hospice care in our community and the skills required to pursue a career in health and social care. The students are studying the BTEC Level 3 Extended Certificate in Health and Social Care. If your school or college is interested in a similar experience, please contact Sister Sue Horsfall | shorsfall@stlukes-hospice.org.uk or call 01752 401172. 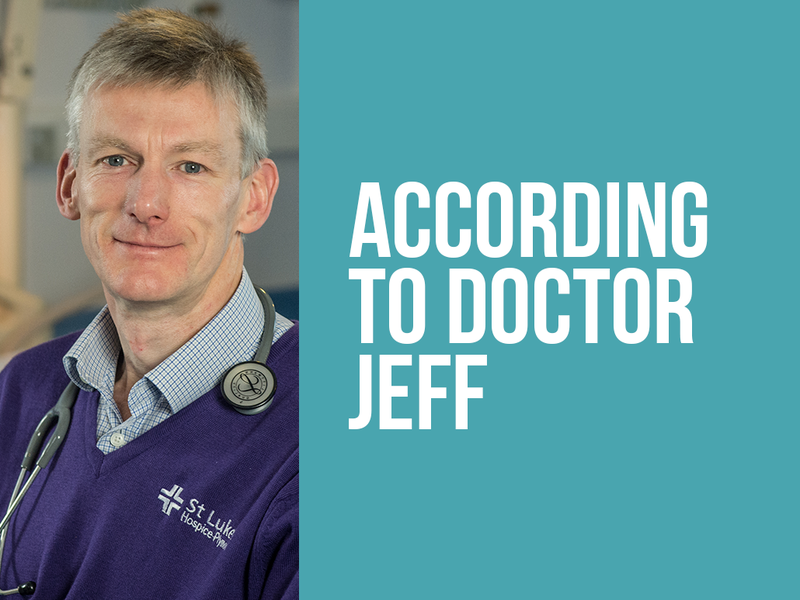 In the second summary of his thought-provoking articles on hospice care, Dr Jeff Stephenson, St Luke’s Consultant in Palliative Care and Medical Director, focuses on the challenges facing hospices – and how we’re preparing to meet them. 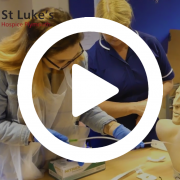 “St Luke’s and other hospices face major challenges as we work out how to respond to the anticipated changes in our society and the economic uncertainties. The hospice movement is 50 years old and its story has in many respects changed the narrative of the dying and bereaved in our society for the better. But movements peter out and influence wanes, and it is the next chapter that will determine whether in another 50 years time the story is alive and as positive as it is now, or just a footnote in history. “More than 1 in 5 people in north, east and west Devon are over the age of 65, and by 2021 this will have risen to almost 1 in 4. Nationally, by 2035 half of all people dying will be aged over 85. As we get older the likelihood of living and dying with more than one medical condition rises dramatically, with consequences on health and social care provision. For instance, the number of people with dementia is projected to double by 2051. And all this at a time when money is getting tighter. The NHS is already creaking at the seams, and hospices are feeling the squeeze as it becomes harder to raise money. It isn’t just a case of how we are going to pay for the necessary care, but also who is going to provide it and where? “One way for hospices to respond would be to focus on our buildings and beds. But that would be putting our heads in the sand, and it would diminish our impact on the bigger story. Only 5% of deaths happen in a hospice, and this proportion will reduce as the number of deaths rises. But times of great challenge are times of great opportunity. What if those with a terminal illness could be supported wherever they are? What if you didn’t have to be in a hospice bed in order to be confident of having a good death? “At St Luke’s this has become our vision – a community where no person has to die alone, in pain or in distress. We have embraced the concept of ‘hospice without walls’, taking the principles and values of hospice care into every care setting. We launched a crisis team and have embarked on projects to reach out to the homeless community and those in prison. “We realise that we can’t reach everyone directly, so have invested in education and training for nursing homes and other professionals, and we are collaborating directly with other providers in the region. We are also embracing new technology to find new ways of providing care. 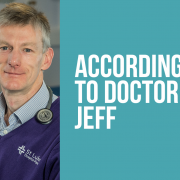 “We also recognise that to achieve anywhere near our vision is going to require the whole community to engage with death and dying, and bring it out of the shadows and the remit of professionals alone. We all have a terminal condition – it is called life! There are already many community groups and individuals supporting those with terminal illness, and we need to support, encourage and multiply them. Each February, Student Volunteering Week encourages students to get involved with civic life and make a difference. 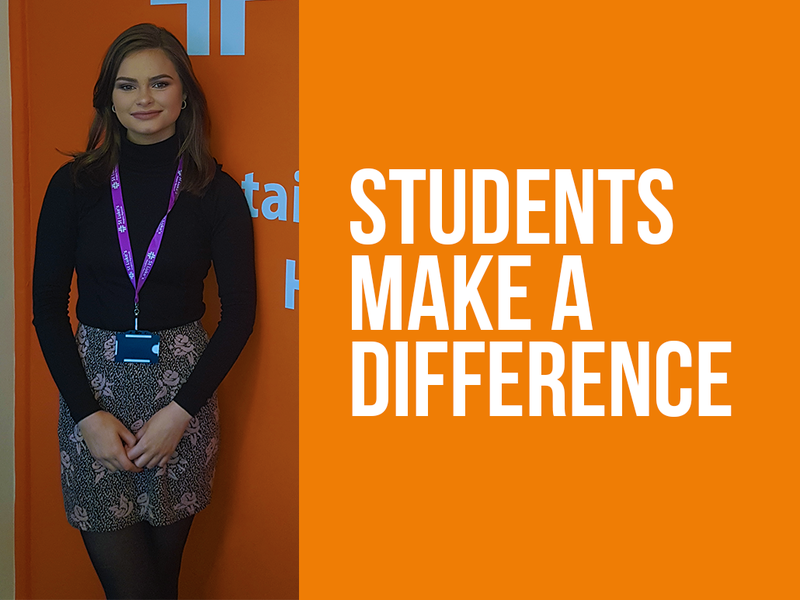 Among our student volunteers here at St Luke’s are Plymouth University students Olivia Ridholls, 19, and Georgina Miller, 21. They told us about their roles and what volunteering with our charity means to them. 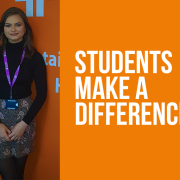 Second-year business student Olivia said: “I’ve been aware of St Luke’s for a long time as my parents do the Lottery and I’ve seen the branding around the city. When I wanted to give some time to making a difference locally, I knew I couldn’t do better than volunteer with St Luke’s. “I’m with the Events team within Fundraising one day a week and have a great title – Volunteer Treasure Hunter! This means I’m often on the phone talking to various businesses and encouraging them to support St Luke’s by donating goods for our events. For example, I recently helped by securing 27 barrels of beer from Salcombe Brewery for our Men’s Day Out – that’s 1,950 pints! Georgina, who is studying for a masters degree in brand design and management, said: “I’m mum to my six-year-old son as well as being a student, but I really wanted to volunteer as well because I feel it’s important to give something back. “I enjoy volunteering with St Luke’s so much that I have not just one role, but two! I started with one day a week in the Drake charity shop in the city centre. Later, through a business networking event at the University, I heard about the opportunity with the Events team and learned a lot more about the various sides of the charity. I joined in June and help in any way that’s needed, from placing signage and stock-taking to briefing other volunteers. I love the variety and the people. What can you do to make Plymouth a compassionate place for everyone living, studying and working here? That’s the big topic drawing people from across education, the arts, business, health, charities and the voluntary sector to join the conversation at the Compassionate City Conference on 17 May, facilitated by St Luke’s Hospice Plymouth. As part of Dying Matters Awareness Week (14 – 20 May), the charity is facilitating the event to highlight the positive work already happening across the city while encouraging co-operation and collaboration to address current and future challenges. According to the Compassionate City Charter for end of life, a compassionate city is a community that recognises that all natural cycles of sickness and health, birth and death, love and loss occur every day across our society. It defines a compassionate community as one that recognises that care for one another at times of crisis and loss is not solely a task for health and social services but is everyone’s responsibility. Key speakers at the event include Allan Kellehear, Professor of Sociology and Compassionate Care at the University of Bradford and author of ‘Compassionate Cities: Public Health and End of Life Care’, and Tam Martin Fowles, UK Ambassador for the Charter for Compassion International, Hope in the Heart CIC. In addition, delegates will hear about inspirational case studies, including those relating to St Luke’s work with the homeless and prisoners, and participate in round table discussions to share information, ideas and form actions that can make a difference in any setting, from schools and colleges to places of worship, the workplace, care homes and cafes. Speaking about the conference, Abenaa Gyamfuah-Assibey, St Luke’s Community Development Worker, said: “We’re proud to be part of this vital conversation, which will encourage the kind of joined-up thinking our city needs to put ideas into action and see positive outcomes that will support everyone at times of difficulty and loss, regardless of their age or background. The conference takes place at Boringdon Park Golf Club from 8.30am to 5pm. Places are £10 per person and can be booked online. Cuz Cussen is a man on a mission, giving Plymouth people a live music extravaganza to remember while raising as much money as possible for St Luke’s and the care we give our patients and their families. Cuz is the man behind the city’s annual two-day Rockfest, which will reach its tenth anniversary of raising money for St Luke’s this spring. He started the event 17 years ago, fundraising for various charities close to his heart, and it was following the death of his beloved mum Dot, in May 2008, that he decided to donate all the money raised each year to St Luke’s. During the last few months of her life, Dot received care from St Luke’s and spent her last few days at Turnchapel. 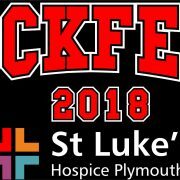 Seeing at first hand the dedication and compassion of our team meant that St Luke’s gained a special place in Cuz’s heart, which has spurred him on to raise an incredible £77,932 through Rockfest for our end of life care. Cuz, who sadly lost his father just a few months after Dot passed away, works tirelessly to organise and deliver the event at Crash Manor nightclub in Union Street. With 20 bands playing everything from rock to reggae and blues to punk over the two days, plus a raffle with a variety of great prizes, it is a regular fixture in the city and Cuz is always moved by the generosity of those who support it. 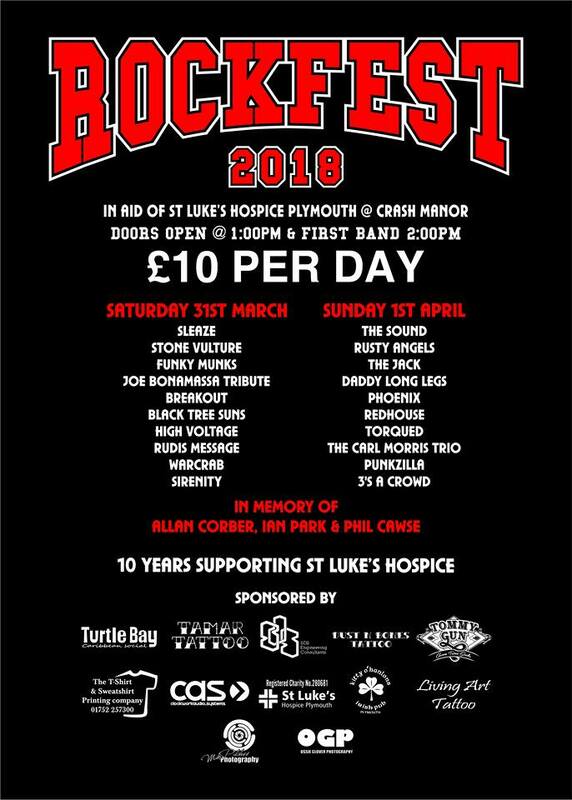 This year’s Rockfest is on 31 March and 1 April (1pm until late). Tickets are £10 per day on the door and as it is a family-friendly event, entry for under-18s is free, although they can’t stay past 7.30pm. Bands confirmed for this year include Stone Vulture, Rusty Angels and Funky Munks. Keep on rocking, Cuz – we appreciate all you do for us!